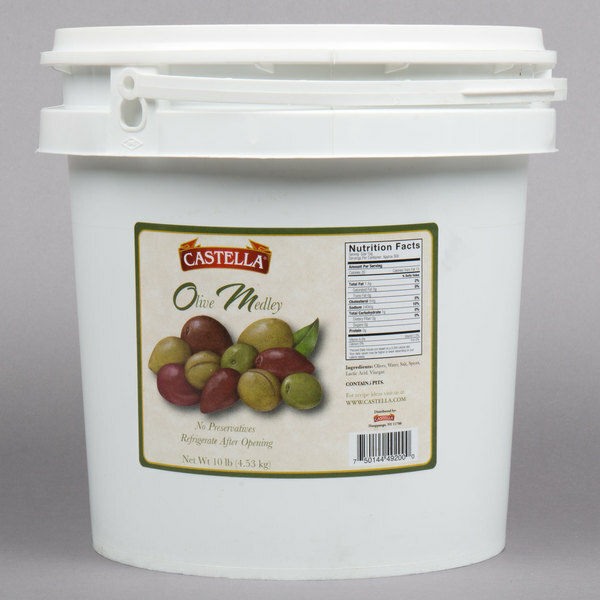 Add this deliciously fresh Castella olive medley with pits to a variety of dishes in your restaurant or cafe. 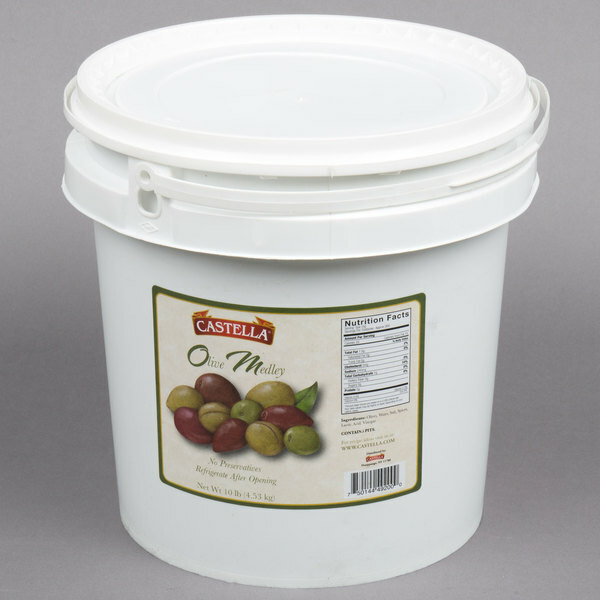 Featuring a medley of green and black olives, this medley provides a blend of popular olives marinated in oil and spices for a rich flavor that your customers are sure to savor. This 10 lb. 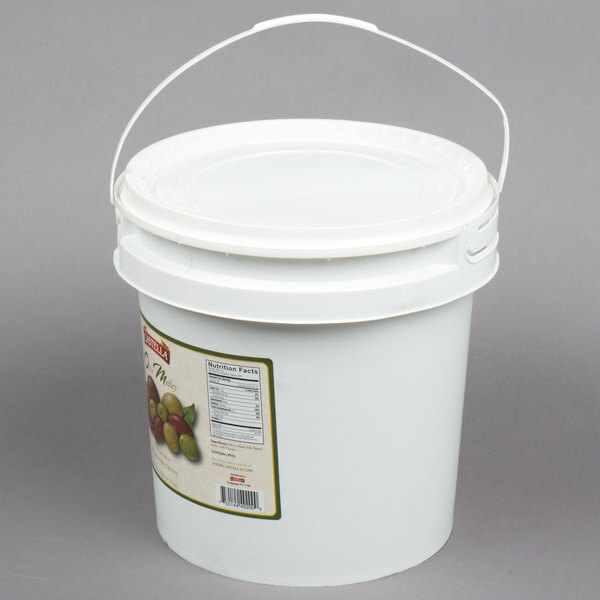 container provides you with a an ample supply, with ready-to-serve convenience. 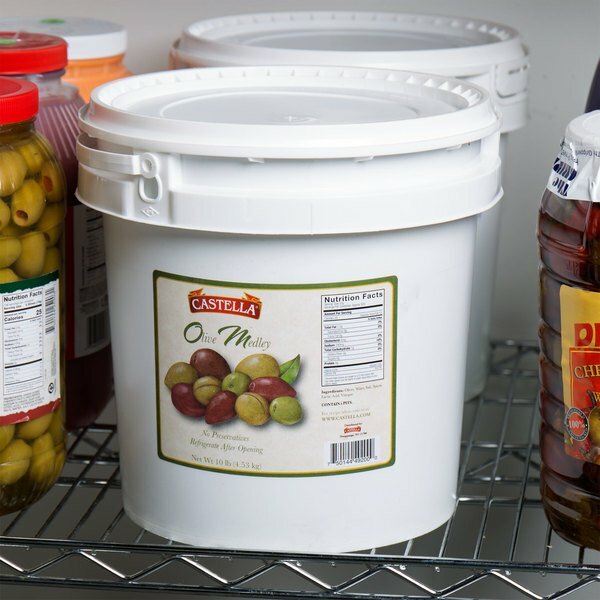 Offer an impressive olive bar or extensive salad bar, prepare a flavorful antipasto salad, or create a mouthwatering black and green olive tapenade. Popular to Italian or Mediterranean fare, this olive medley can be served alongside a variety of entrees, including tuna, pancetta, and grilled chicken. They can even be offered as a stand alone, healthy snack! 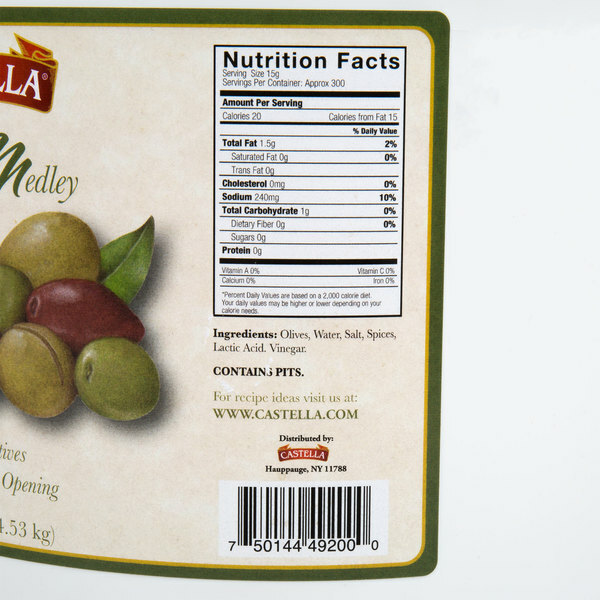 Known for quality and freshness in their products, Castella utilizes the best growers from the Mediterranean and across the world, ensuring that you receive the highest-quality products to serve to your high-quality customers!